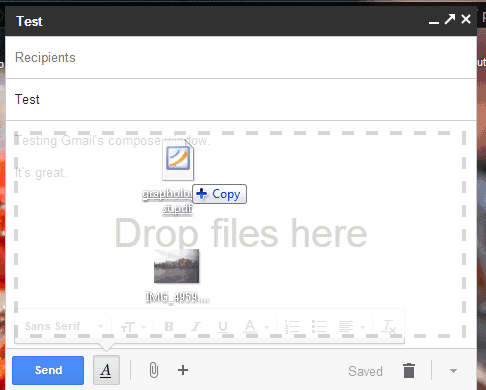 Fortunately, you can use the "attach files" paperclip button to add image attachments. The "insert photos" button will embed the images. If you still want to drag and drop a photo, you can drag the photo you want to attach and some other random file (for example, a PDF file or another image) and remove the random file. 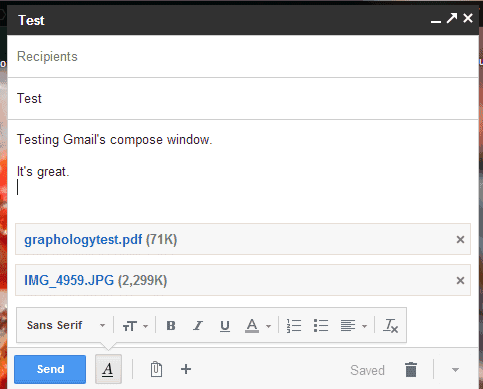 It's a workaround that forces Gmail to treat images like regular files. 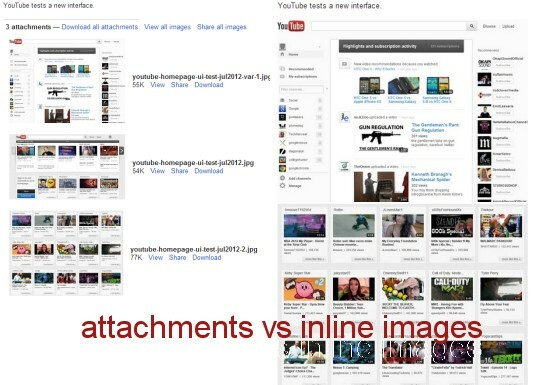 When you drag and drop multiple images, they're added as attachments. Hi there, I log on to your blogs on a regular basis. Your humoristic style is awesome, keep up the good work! The clearness in your post is simply cool and i could assume you're an expert on this subject. Well with your permission allow me to grab your RSS feed to keep updated with forthcoming post. Thanks a million and please keep up the rewarding work.